Product categories of Ethernet Over Coax Converter, we are specialized manufacturers from China, Ethernet Over Coax Converter, Coax To Ethernet suppliers/factory, wholesale high-quality products of Ethernet Over Coax Adapter R & D and manufacturing, we have the perfect after-sales service and technical support. Look forward to your cooperation! 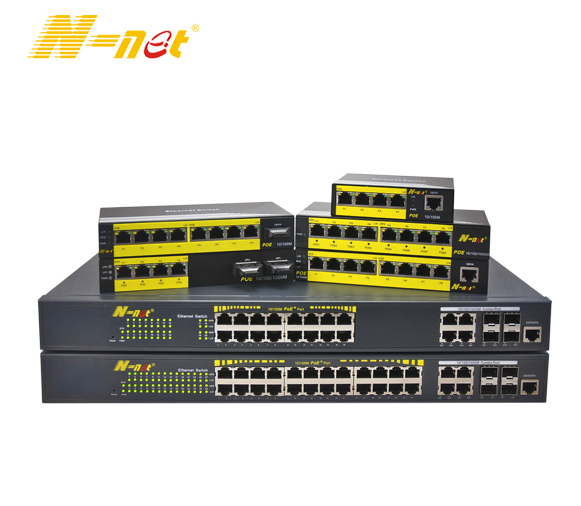 The N-NET Ethernet over coax (EOC) allows IP cameras to transmit over Coax cabling. The Ethernet over coax technology allows the system to extend IP cameras beyond cable distance limitations and also acts as a PoE inserter. N-net Ethernet And Power Over UTP Cable Converter is an Ethernet extender over UTP cable. It can transmit over telephone line, Ethernet cable, and twisted pair. It is provided with excellent lightning protection and anti-interference capacity. N-net Ethernet And Power Over Coax Converter is a conversion device for Ethernet over Coax. It can be used in pair or one to multi.The equipment can transmit by telephone line, Ethernet cable, UTP or coax, etc all kinds of common cables.